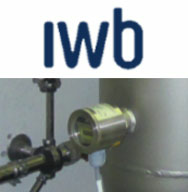 IWB is the leading supplier of energy, water and telecommunications in the Basel region of Switzerland. IWB maintains drinking water lines of around 525 km in length and supplies around 190,000 residents, small and medium-sized companies, industry and administration with drinking water of very high quality. To ensure this water supply, IWB relies on monitoring systems such as the ultrasonic fl ow switch from Anderson-Negele to protect against the dry running of pumps and to provide reliable fl ow monitoring in the supply lines. Flow switches are installed in the supply lines of every pump train. These protect the pumps against dry running, and monitor and ensure the tightness of fl aps and check valves. 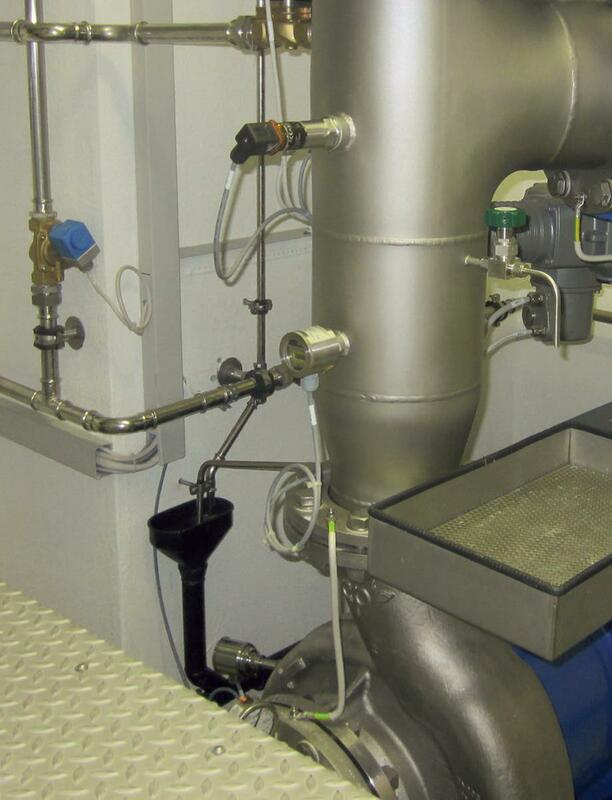 Flow switches of type FWS-141 can be installed into the water lines without dead space and thus absolutely hygienically using the CLEANadapt installation system. 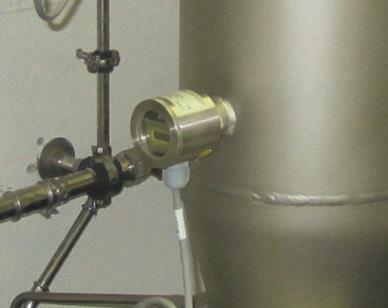 The system, which is based on the ultrasonic measurement principle, detects very small particles and air bubbles in the water. Ultrasound waves are refl ected by these elements and returned to the receiver of the transmitter. The diff erence between the sent and received waves is a measure of the speed of motion of the particles or air bubbles, and thus of the fl ow rate. 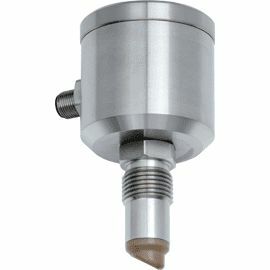 Because this measurement procedure is very fast (response time < 1 s) and absolutely independent of temperature infl uences and medium conductivity, is it ideal for use in fl ow sensors that handle rapid control tasks. Until now, the customer had been using calorimetric fl ow switches, which regularly developed lime deposits and ceased producing reliable measurement signals. As a result, the individual pump stations had to be manually maintained 1–2 times per year in a time-consuming procedure (approx. ½ man days). 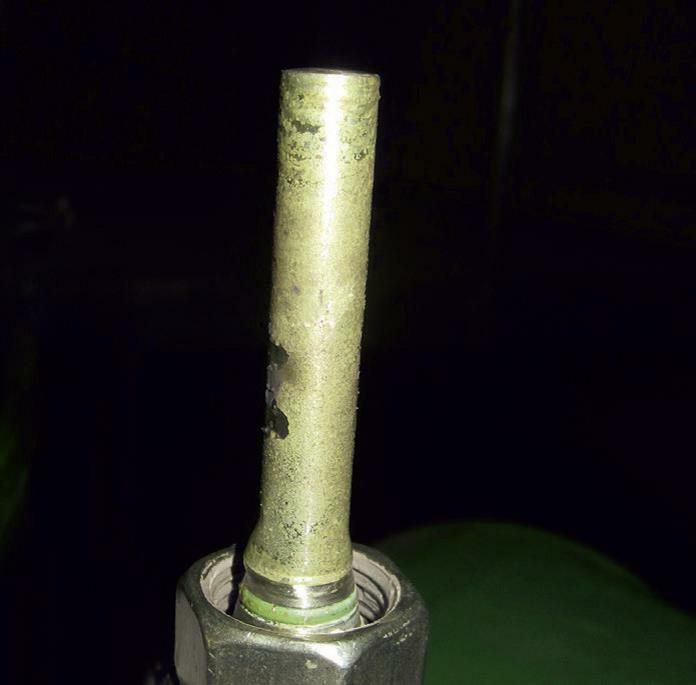 This required complete drainage of the supply trains to uninstall the calorimetric sensor and remove the lime deposits. All fl ow switches of type FWS-141 are equipped with high-precision measurement electronics, and the measurement tip in contact with the product is coated with PEEK plastic, which is approved for the food industry. PEEK prevents the deposit of foreign matter such as lime entirely or to a large extent. Even if deposits do accumulate (e.g. a thin layer of lime), the ultrasonic measurement principle continues to operate reliably, unlike the calorimetric measurement principle. This eliminates the need to regularly perform costly and timeconsuming maintenance and cleaning.